My goal is to raise enough money to have Dr. Jessica B. Harris present on the culinary connections between Africa and the Americas. In addition, Dr. Harris would moderate a panel discussion involving a chef, an entrepreneur and a food justice advocate. I asked Two Sistah’s Eats-n-Treats (formerly of M&D’s Café–a longtime Denver soul food place) to cater the event held at the Cleo Parker Dance Studio. 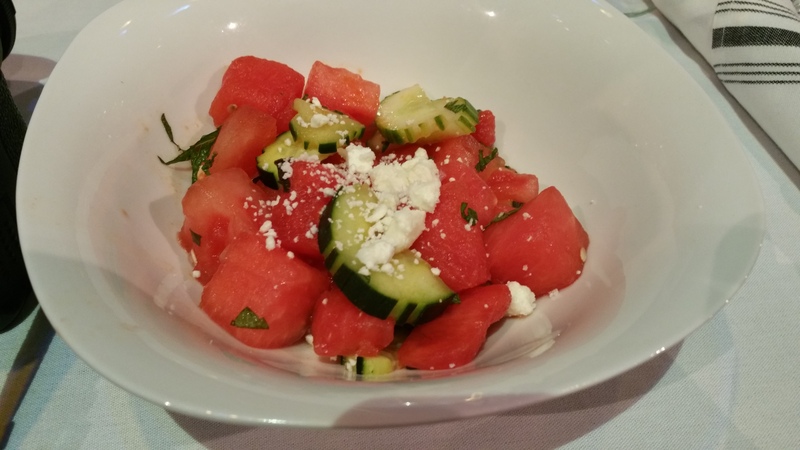 The first course was a watermelon, feta cheese, cucumber and onion salad. 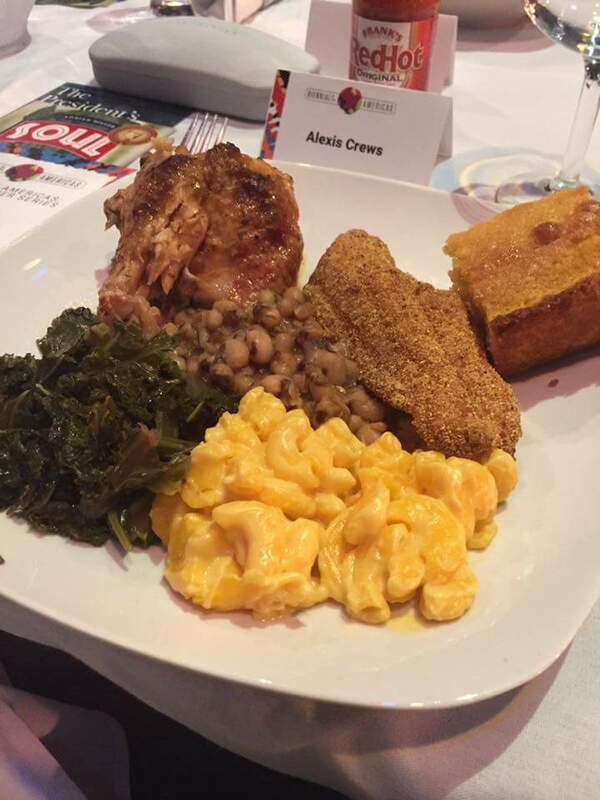 The second course included: baked chicken, fried catfish, black-eyed peas, greens, mac ‘n’ cheese, cornbread and red drink. 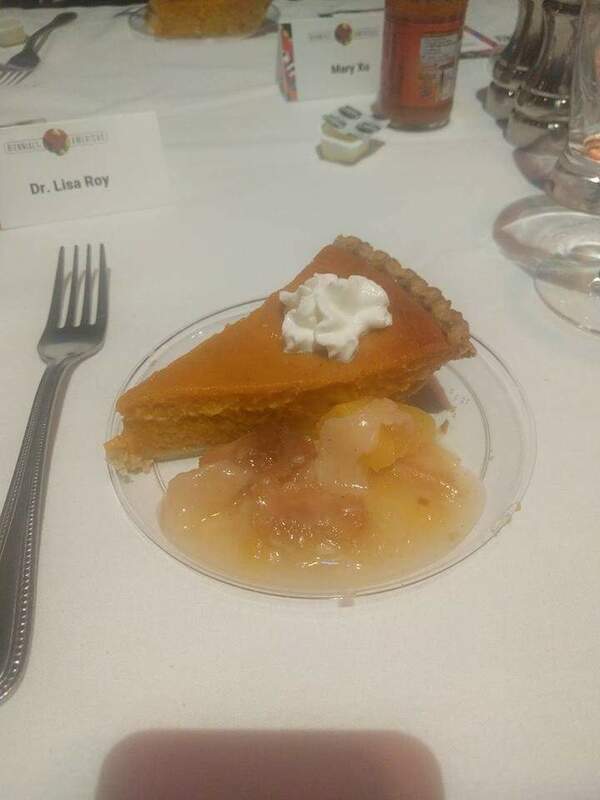 The third course was peach cobbler and sweet potato pie. Here’s a look at the setting. 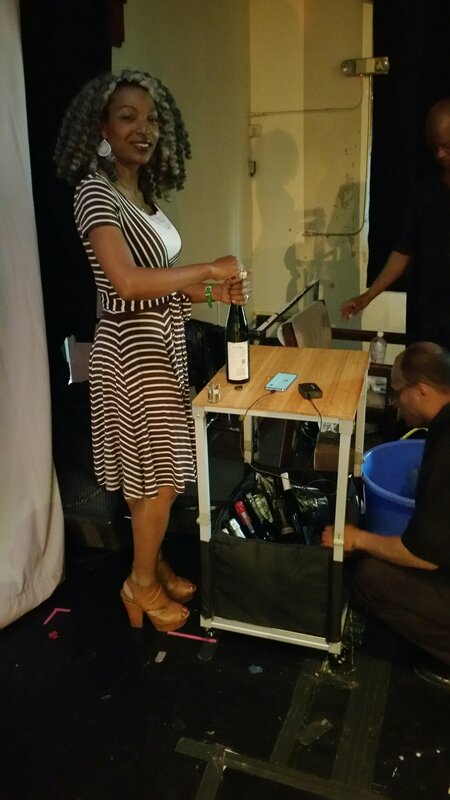 Certified sommelier Maia Parish (“The Wine Suite LLC”) was on hand to advise on wine. A great night! 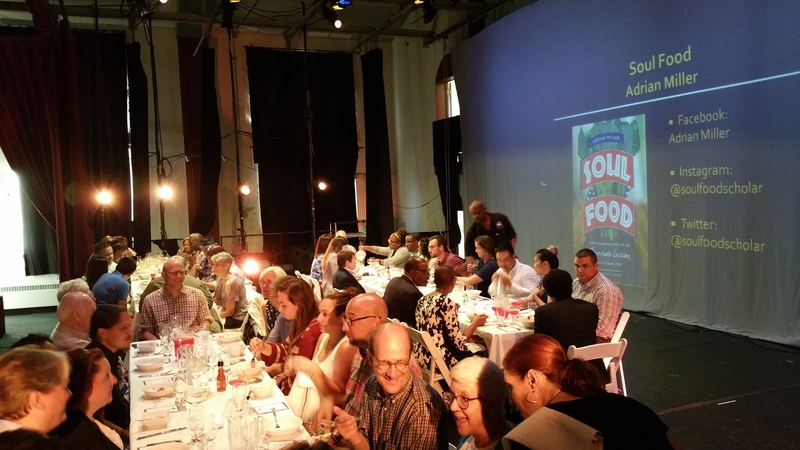 The next dinner will explore another African heritage cuisine in the Americas, either Creole cuisine or lowcountry. Stay tuned!